In this year's critically mauled Suicide Squad, the eponymous team are gifted the chance of freedom if they can complete a mission to defeat to the sinister spirit Enchantress (Cara Delevingne), whose contempt over humanity has only escalated with it's recent downturn. Under the guidance of Colonel Rick Flag (Joel Kinnaman), the band of antiheroes are lead on what's ultimately a begrudging quest to save the world for no more than to benefit their own futures, but the journey that follows they soon find could have more of a crucial impact on them than they initially believed. 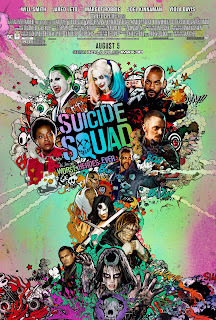 With an an ensemble like Suicide Squad, much as with Avengers, a crucial thing to focus on is...well, focus itself. You've got so many iconic characters taking the helm in a lineup of starring roles that finding the right way to dedicate time to each one can be tricky; you wanna make it look natural and believable yet ensure everyone gets their fair share of screentime, justifying their existence and a (usually) superb actor's talent. But with this latest DC hit, we can't quite find that balance - for the most part, the plot relies on tired clichés and underwritten villains, who are probably one of the worst traits of the film by far, and an overall inconsistent structure to it's narrative results in a number of pointless moments that serve little purpose other than to desperately inject more excitement into what is essentially a boring, scruffily edited antihero flick that reeks of potential. Jared Leto as the Joker, a major highlight, sure is underused - his role seems to come and go with pretty much no consistency and have no real solid purpose, making almost every scene he appears in entirely pointless; and I'm not trying to be a Ledger-whore and use him to express why everyone else dwindles in comparison, but Leto's interpretation of the role feels like the man having tons of fun with the source material but, unlike Ledger, forgetting about any real potential to craft a character out of it when the novelty wore off. We can blame this same thing on the lacklustre screenwriting, but it has to be said through and through that the Joker really is a bitter disappointment, making it seem as if Leto was bringing the role to life on a school playground and not in a modern day superhero blockbuster; I'm all for a more fun experience and don't expect all to be dark and gritty, but with this, it often sinks into mundane stupidity. The rest of the cast feel mixed, with Joel Kinnaman standing out as one of the best despite his occasional lack of passion - then again, can you blame him? 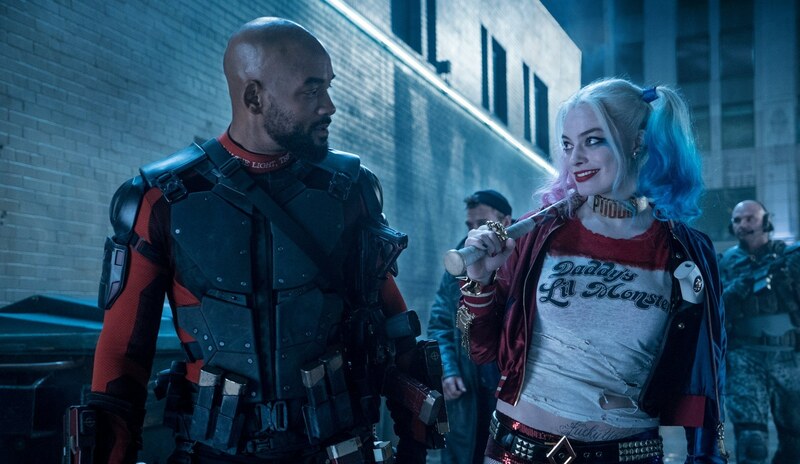 Will Smith brings a lot of humour to Deadshot, and makes him likeable to be fair, but perhaps more could've been done to explore the bond between him and his daughter which, while effective in some ways, is often dismissed almost immediately as it appears each time, never really picking up much steam until the end - and even then it doesn't feel as effective as it could've done. Whilst Margot Robbie as Harley Quinn does give it her all despite occasionally grating on the ears, making for some fairly good results, it's the others in the form of Killer Croc (Adewale Akinnuoye-Agbaje), Captain Boomerang (Jai Courtney), and El Diablo (Jay Hernandez) that come and go with little impact, at least for me, mainly due to cardboard cutout personalities and very little exploration of character motivations - and the fact that all Croc does is stand around and grunt. 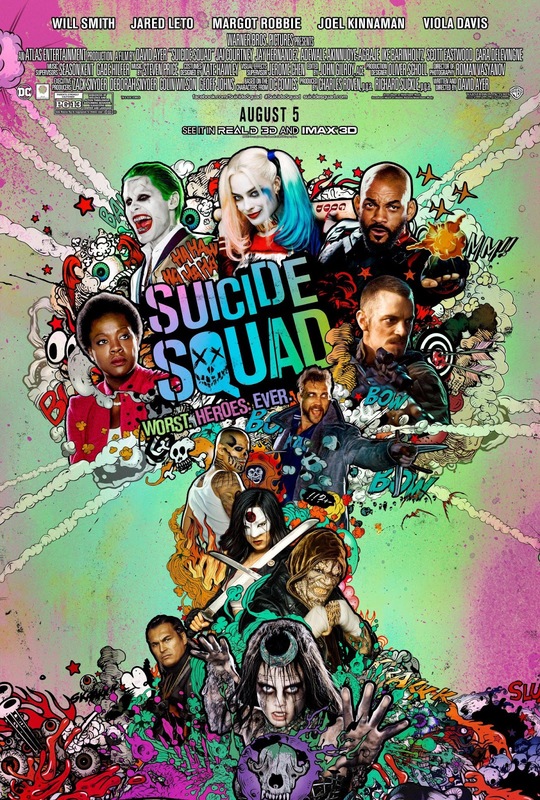 Suicide Squad is not a good movie; it's poorly written, edited, and directed, giving us a finished product in the form of an inconsistent mess with abrupt tonal shifts and little to no focus on it's own narrative concepts and plot threads. The villain in the form of Enchantress lacks true, passionate motivations to be a convincing antagonist in such a high stakes narrative, and it's messy pacing and thinly written characters make it an overall dull watch. Visually, it's got all you'd expect from such a big budget superhero blockbuster (even if some of the CGI looks a bit video gamey), but outside of visual finesse, it's hard to really recommend this to anyone, even if the biggest of DC fans.